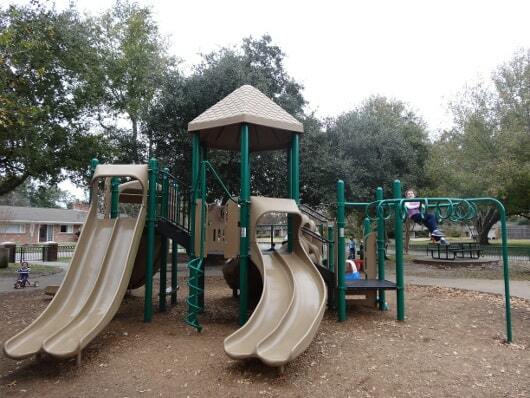 Old Braeswood Park is a small neighborhood park that seems well-loved by its surrounding community. Even though it was a cool day there were several families there on the weekday afternoon that we visited. This park has a small grassy area, a set of swings, and two playground structures. Although one is much smaller than the other, neither was designed for toddlers. 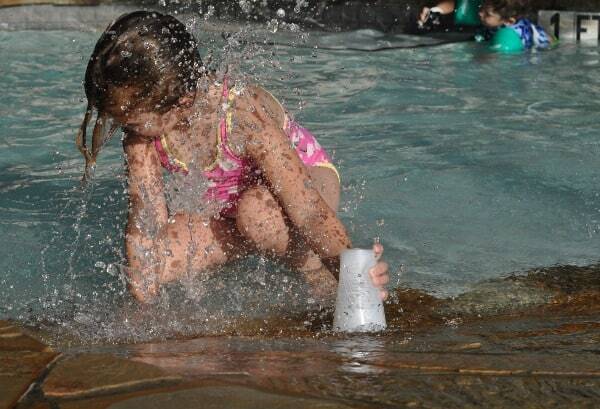 Perhaps to make up for this, there are lots of toddler toys that have been left at the park for everyone to enjoy. Most of these are ride-on toys, both vehicles and stationary ones, but there are some other types too. Even though my kids are now too big for these, there were plenty of little kids having fun trying out every single one. 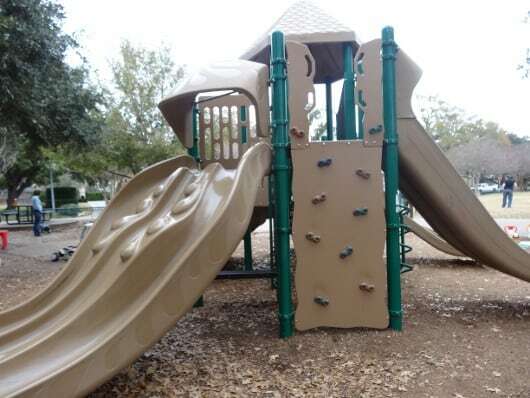 The larger play structure has monkey bars, a rock wall, and lots of slides. 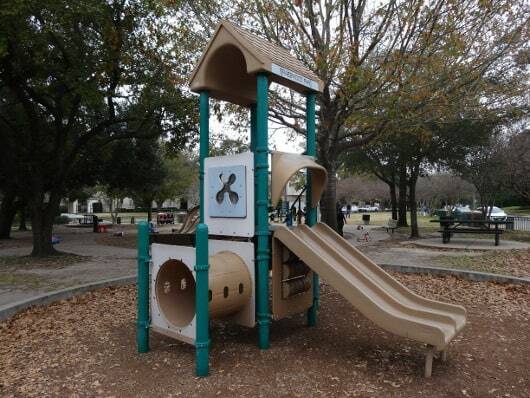 There are a couple of double slides and even a triple one so that kids can race each other down. One of the doubles is the steepest slide I’ve seen at a playground, and the kids loved it! 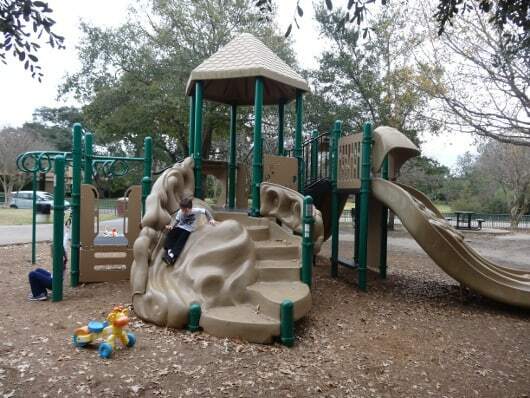 Old Braeswood Park sits in the triangle formed by the intersections of Kelving, Morningside, and Maroneal, but because it is entirely fenced I didn’t feel like I had to be right next to the kids the entire time. There is plenty of shade and the picnic tables and benches provide places to sit and relax while the children are playing. My “big” kids (6 & 4) and I loved this park and I think it could be a favorite for younger kids too.